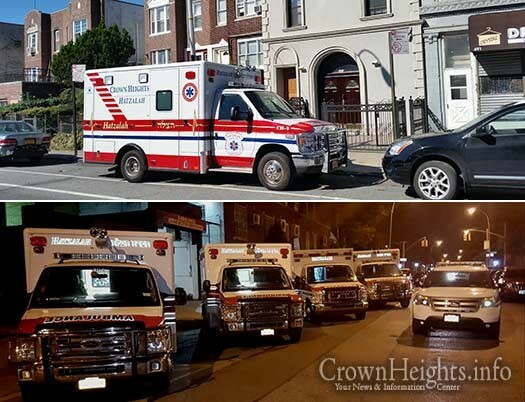 With Crown Heights growing and spreading Hatzalah has seen the need to expand its membership and its fleet, with 4 ambulances and dedicated fast response car. This Shabbos, Parshas B’chukosai, is Shabbos Hatzalah and appeals will be held in Shuls across the neighborhood. In a letter Hatzalah appealed for the community’s assistance and donations. This Shabbos, Parshas B’chukosai, is Shabbos Hatzalah. 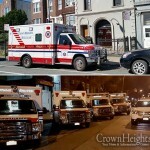 Every Shul in Crown Heights is encouraged to hold an appeal to raise funds for the local chapter of Hatzalah. In recent years, Crown Heights has expanded by leaps and bounds, kein yirbu. 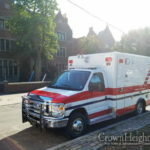 The growth of the community has created a natural increase in demand for Hatzalah’s services, both in call volume and in the geographic area to which we are being called. We have kept up with this growth in population and demand – we have added members, a dedicated first response vehicle, and a fourth ambulance to our fleet. And we are constantly adding state of the art equipment as we see the need, such as the recently purchased automatic CPR machine. Naturally, all this growth and expansion comes at an increased financial cost. Every new EMT costs in excess of $3,000 in equipment alone. Equipment for a paramedic costs tens of thousands of dollars, with a heart monitor, an essential paramedic tool, costing approximately $22,000. A new fully equipped ambulance costs around a quarter of a million dollars, and our new CPR machine costs about $15,000. All this is just the cost of purchasing equipment. There are also the running costs – gas, maintenance, insurance for the vehicles, continued training for the members, and the constant need to replace used and expired medications and equipment. Crown Heights is the hub of the Lubavitch world and, throughout the year, we are often inundated with visitors from all over the world – Tishrei being a particularly busy time. So even being an organization for the Crown Height community, we often treat patients from all over the world. Therefore, for the first time, we are appealing to Anash from all over the world to help us continue to meet the growing demand. We will always be here for our community, both for the residents and for those passing through. 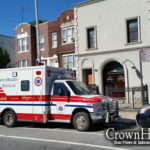 Hatzalah of Crown Heights is one of the only organizations that can honestly claim that every dollar donated goes directly to running the organization. Every one of our members is a volunteer. We have a payroll of zero! This appeal is also indicative of how we work. We are not offering any expensive prizes. We are not spending lots of money on expensive advertising. In addition, the commission from funds collected that will be going to the fundraiser is zero. We are not offering matching funds. There is no deadline to donate, no gimmicks. We are simply asking that everyone give what they can. And you don’t have to wait until Shabbos to make your donation – you can donate today by going online here: https://www.hatzalah.ch/web/donatenew.cfm. Then, at the Shabbos appeal in your shul, you can proudly announce what you have already donated just before Shabbos and inspire others to give as well. May we merit to see you in good health.